Strava, the world’s biggest social media service designed just for athletes, has announced that its location-tracking safety feature Beacon is to be integrated into select models of Garmin’s fitness trackers. 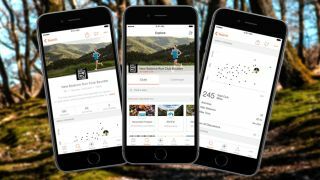 Earlier this year, Strava created Beacon and launched it on standalone iOS and Android apps for its premium paying members. If you haven’t encountered it before, Beacon is a feature which allows cyclists and runners who exercise for long periods outdoors to easily share their location to friends and family and give them peace of mind. To use Beacon, members simply have to select up to three safety contacts who are sent a text message containing a unique URL when the athlete starts their exercise session. These contacts can then click on the URL which will take them to a map through which they can track the location of the athlete in real time as well as view the battery power on their phone. Safety contacts don’t have to be a member of Strava themselves to access the map, which makes it easy for athletes to go out on long distance runs or cycles and know that someone is watching to make sure they’re safe. It also offers peace of mind to family and friends who won’t immediately panic when they can’t contact their friend on their phone. By integrating Beacon into Garmin’s LiveTrack it’ll make it much easier for users to keep all their fitness-focused apps in one place. It should also take the pressure off an athlete's mobile phone battery so they can be certain they’ll remain contactable for the entire time they’re gone. So far, Beacon is only compatible with a handful of Garmin devices including the Edge 520, Edge 820, Edge 1000, Edge Explore 820, Forerunner 230, Forerunner 235, Forerunner 630, Forerunner 735XT, and Fenix 3. To use the feature Garmin owners will also still have to own a premium Strava membership.